The two lads packed an awful lot in for the first show of the new season. 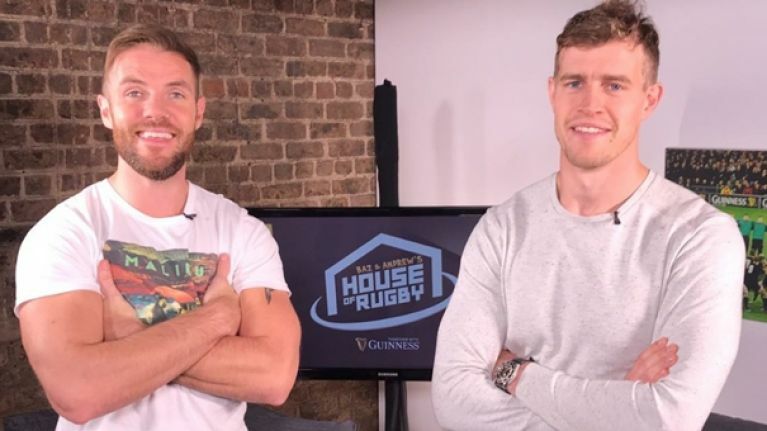 Baz & Andrew's House of Rugby is up and running, with Barry Murphy (former Munster & Ireland) and Andrew Trimble (former Ulster & Ireland) taking the helm. Episode one, which premiered this morning, features Murphy interviewing his former Munster teammate, legendary Irish out-half, Ronan O’Gara. In the coming weeks, Murphy and Trimble will be joined by a wealth of household names, such as Ireland centres Garry Ringrose and Robbie Henshaw, Leinster and Ireland phenomenon James Ryan, and many more. SportsJOE rugby correspondent Pat McCarry will also be a regular commentator on the show. 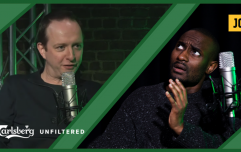 The weekly show, in partnership with GUINNESS, comes in the form of both a video and audio series and will feature live events for fans over the course of the season. It will include analysis of the biggest talking points in the world of rugby and aims to take the audience behind the scenes to reveal what it’s really like to be in the dressing room. BARRY: Well, hopefully, we might be able to see you back there at some point to keep up that tradition. Fingers crossed. RONAN: (Smiling) People can't see my facial expressions, can they? Oh yes, they can. We're on video! RONAN: I thought it was the radio. BARRY: No, no. There we have it! RONAN: There you have it. Some day, please God. There you have it, indeed. "We have assembled our dream team for Baz & Andrew’s House of Rugby," commented content director at JOE, Paddy McKenna. As part of the partnership with GUINNESS, UK counterpart JOE.co.uk will launch its own edition of ‘House of Rugby’, hosted by James Haskell, rugby royalty Mike Tindall and Sky Sports presenter Alex Payne. The shows will stand alone from one another, with some cross-over on featured guests and pundits. You can listen to the first episode of Baz and Andrew’s House of Rugby here, watch on YouTube here, and follow all the action at #HouseofRugbyIRL on social media.